GigaDB Dataset - DOI 10.5524/100307 - Supporting materials for "Kronos: a workflow assembler for genome analytics and informatics"
Supporting materials for "Kronos: a workflow assembler for genome analytics and informatics"
The field of next generation sequencing informatics has matured to a point where algorithmic advances in sequence alignment and individual feature detection methods have stabilized. Practical and robust implementation of complex analytical workflows (where such tools are structured into 'best practices' for automated analysis of NGS datasets) still requires significant programming investment and expertise. We present Kronos, a software platform for facilitating the development and execution of modular, auditable and distributable bioinformatics workflows. Kronos obviates the need for explicit coding of workflows by compiling a text configuration file into executable Python applications. Making analysis modules would still require programming. The framework of each workflow includes a run manager to execute the encoded workflows locally (or on a cluster or cloud), parallelize tasks, and log all runtime events. Resulting workflows are highly modular and configurable by construction, facilitating flexible and extensible meta-applications which can be modified easily through configuration file editing. The workflows are fully encoded for ease of distribution and can be instantiated on external systems, a step towards reproducible research and comparative analyses. 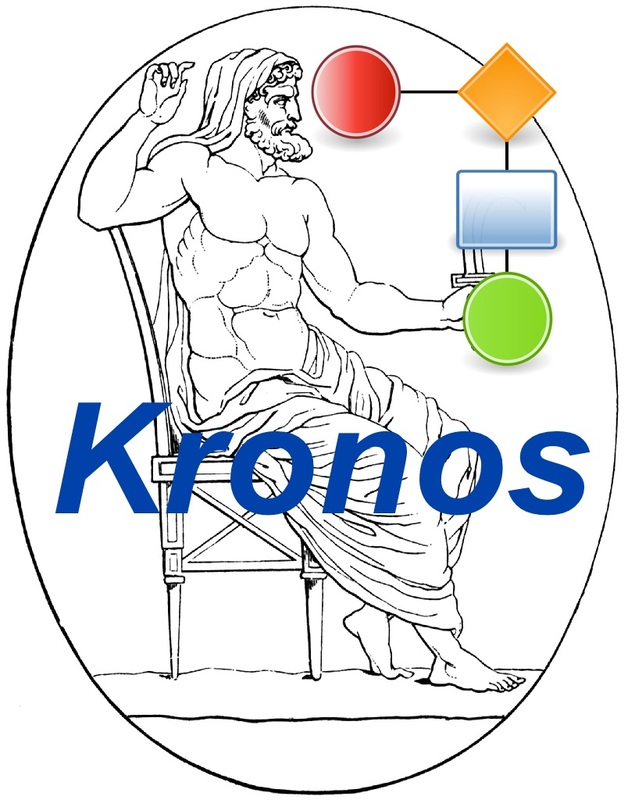 We introduce a framework for building Kronos components which function as shareable, modular nodes in Kronos workflows. The Kronos platform provides a standard framework for developers to implement custom tools, reuse existing tools, and contribute to the community at large. Kronos is shipped with both Docker and Amazon AWS machine images. It is free, open source and available through PyPI (Python Package Index) and https://github.com/jtaghiyar/kronos. Displaying 1-10 of 42 File(s).